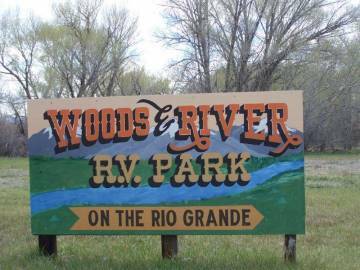 Description: FHU campground with pull thru sites located on the Rio Grande River. Laundry and WIFI. Campground at jct. of hwy 160 & 112 in the city of Del Norte between Alamosa & Pagosa Springs. Campground street address: 25 Adler St.
Pros: Nice setting with grassy sites on the river. FHU and pull thru sites. Member of Passport America.